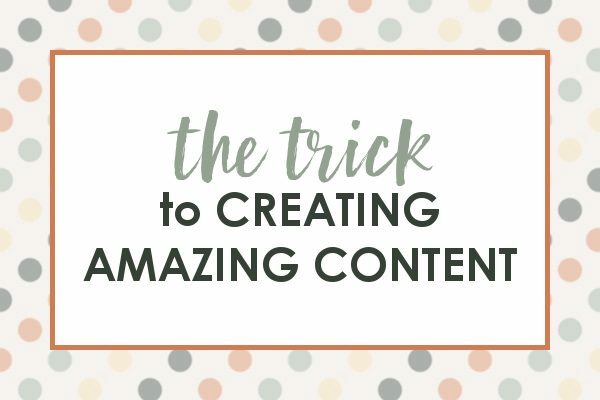 Learn the trick to creating content your readers really want to read. The content that will keep them coming back for more day after day! Most of us started out blogging as a way to keep up with family and friend, or just as a place to journal our lives. However, when it comes to creating great content, our mindset has to shift away from us and onto our reader. Ask yourself “How does this help my reader?”. When you can answer that then you will be able to write a great post! If you took a trip to the beach this summer, don’t write “Our Summer Beach Trip” filled with photos of your family and a journal type post covering everything you did. This would be great for a family only journal type blog, but when you’re trying to reach a wider audience it needs to change focus. Instead, write “10 Tips for Taking Your Kids to the Beach” or “5 Must Have Beach Accessories for the Summer” or even “How to Survive a Day at the Beach”. Those titles promise to add value to the reader’s life. They know that clicking on your post will enrich their lives once the post is read. You can still have tons of photos of your family, and you can still include plenty of personal stories if you choose… however, the focus of the content has been shifted from you-centric to reader-centric. Take a look back through your content and make sure that at least 90% of it is reader-centric. If it’s not, go back in and edit it to be so. Make sure you create new images to reflect the changes and then pin them to Pinterest! Note: Be sure NOT to change the URL for the post or you will have broken links going to your website. Just change the title, content, and images if needed. If your old URL no longer fits, you might write an entirely new post and forward the old post to the new one. Now, I’m not talking about the actual content that you write about… but rather HOW you write the content. What I’m talking about is the professionalism you show when you write. Triple check your posts for spelling and grammatical errors, make sure your sentences flow nicely and are not cumbersome to read. These types of issues will quickly turn off the reader and keep them from viewing you as an authority in your field. Always go back and re-read your entire post before publishing, including the text on your images!